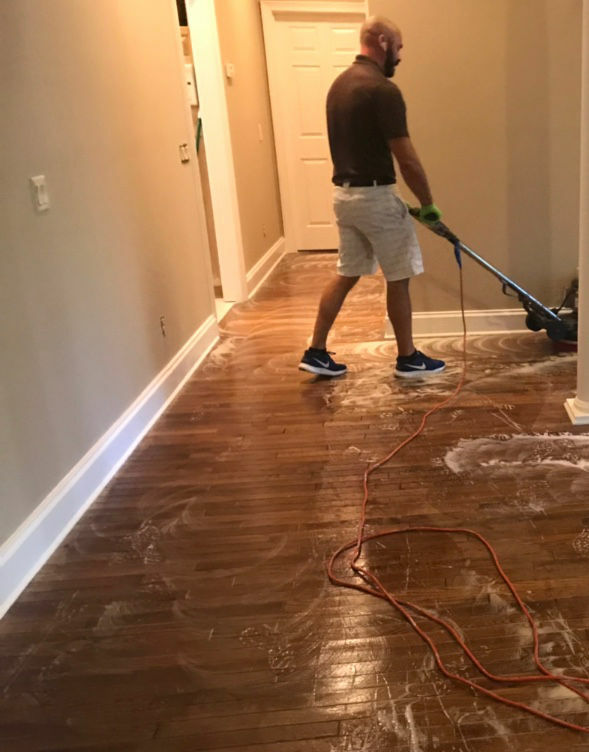 Professional Wood Floor Cleaning & Polishing in Weatherford, Texas | Free Estimates! Want your wood floor to look new again? It might be time for a professional cleaning and polish to remove all of those deep soils and stuck-on grime and get it shining again. 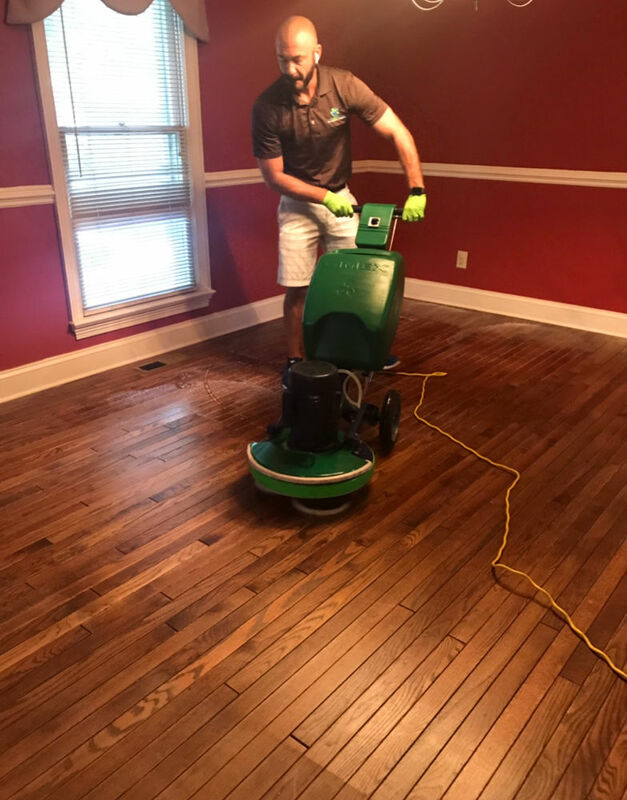 For wood floor cleaning we use high speed counter-rotating brush machines with an advanced dry compound cleaning powder. This highly effective detergent sets our cleaning compound apart from other company’s offering. 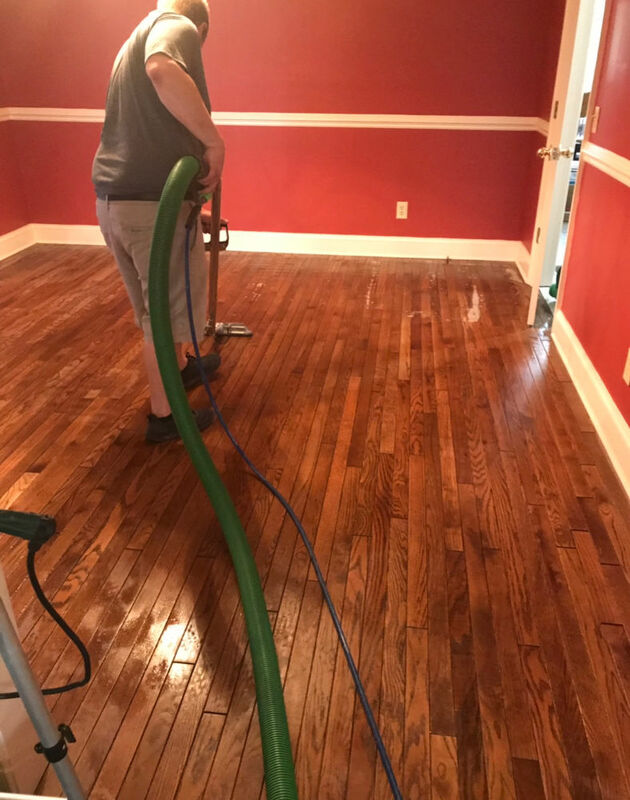 In addition, our compound is used with an extremely low moisture cleaning system making it safe for all types of wood, under all types of soil conditions. The compound lifts and draws soil out of and away from the wood and into particles which will then be extracted during the recovery process. Step 1: Inspection/Evaluation – we determine the type, age and condition of the wood. We ask questions to learn what concerns you may have and educate you as to specific conditions about your wood floor. Step 2: Commercial Vacuuming / Sweeping – we remove all dry soil with brooms and vacuums. Step 3: Preconditioning – we apply a very minimal amount of premium neutral wood floor cleaning solution. During this step we take precaution not to apply more than needed to keep moisture levels in the floor well below our dry standard. 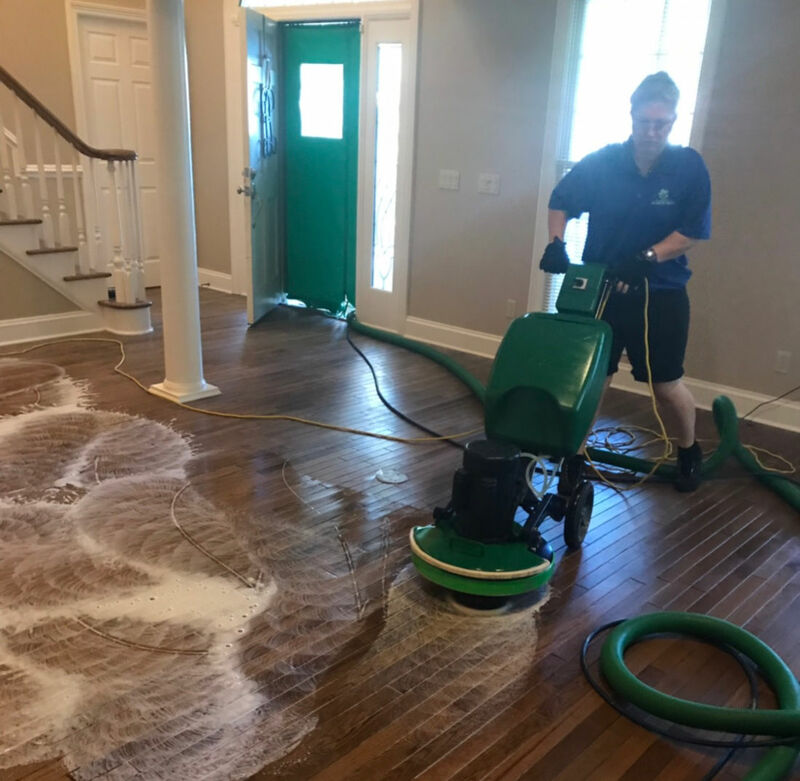 Step 4: Agitation – we use several different tools for assisting the cleaning solution on it’s ability to clean and restore the look of your wood. Step 5: Extraction/Drying – we remove any residual solution with hard-surface wands and towels. The use of commercial fans is often used as well to speed up dry time. Step 6: Polish – we apply a premium wood floor polish leaving your wood clean and protected. We offer 100% money-back guarantee on all our services. Due to the large array of services we now offer, the HUGE differences in types of flooring & carpet fiber, size of rooms, scope of job and countless other factors it would be misleading and unfair to post our pricing on our website – BUT – we emphatically encourage you to call, email or text us so that we can quickly and accurately provide you with a price for your cleaning needs. Thank you so much for your understanding.